With the TM-Nano 2T, you can watch satellite channels in glorious High-Definition (HD), Full HD 1080p with Dolby Digital Plus to give you a superior audio experience. It’s also 3D ready*. 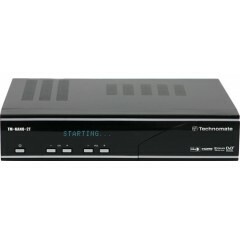 It is an Open Embedded satellite receiver which has Third Party Software to give you plenty more functions than a standard satellite receiver. 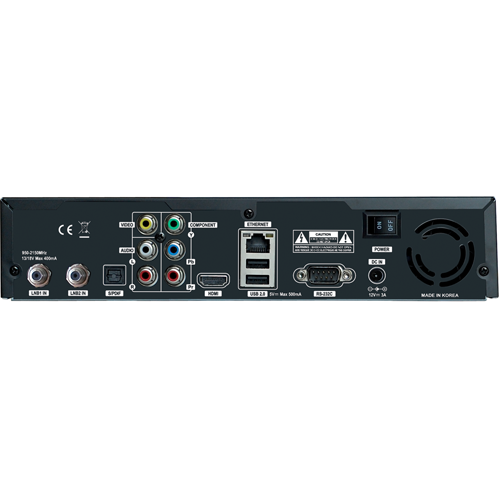 Not leaving the Standard Definition (SD) channels behind, we’ve developed a built-in hardware Upscaler to improve the picture quality of Standard Definition (SD) channels via the HDMI output. What Satellite magazine (July 2011) further said that the 'upscaled SD channels appear solid and lifelike'. You can use a USB Hard Disk Drive (HDD) or an internal 3.5" Hard Disk Drive to record all your favourite channels, listen to your music and watch a slideshow of your photos. The luxurious Vacuum Fluorescent Display (VFD) front panel displays: channel names, recording status, playback status...and more (display may vary to the above). The silent temperature and speed controlled fan cools the TM-Twin only when needed and the speed level can also be adjusted.